WhatsApp is one of the most popular messaging apps in the world today with over 800 million active users using the service across multiple platforms. Here are top 20 most useful tips and tricks available for WhatsApp on Android and iPhone. Both iOS and Android version of WhatsApp provides built-in option for backing up and restoring messaging history and more. For more details on how to do this on Android, check out: How To Backup And Restore WhatsApp Messages On Android. On iPhone, you can use iCloud to store your WhatsApp data. 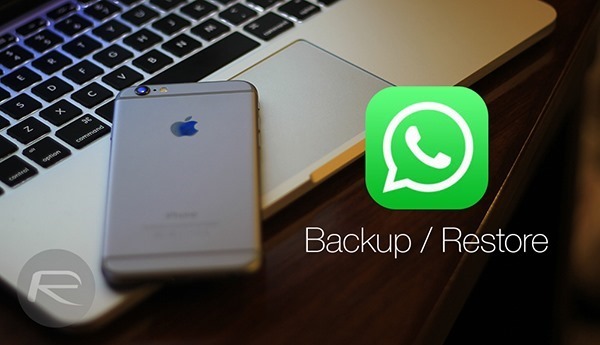 For more details on how to do this, check out: Backup / Restore WhatsApp Chat Messages And Photos On iPhone The Easy Way. 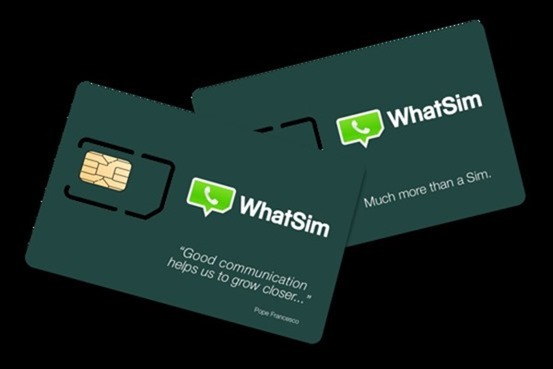 WhatSim will cost you $11.60 annually, but this special SIM card can connect to 400 mobile networks across 150 countries, allowing you to stay in touch with your friends and relatives on WhatsApp without taxing your mobile data. 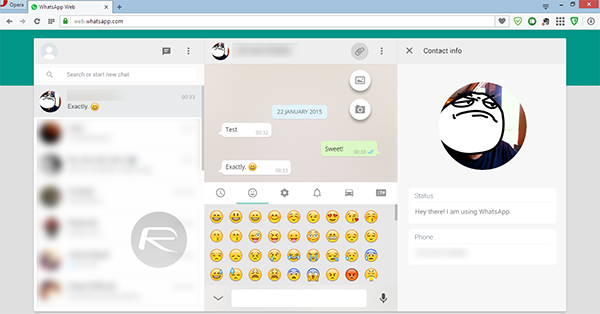 WhatsApp has an official Web client which allows users to converse with contacts from the comfort of their computer. It includes all the functions featured in the smartphone app. The WhatsApp Web Client only supports Android, Windows Phone and BlackBerry 10 devices for now. If you have one of these devices, follow our guide here on how to get started. There’s an unofficial way for iPhone users to use this service. You can find our tutorial for it here: How To Use WhatsApp Web Client With iPhone. 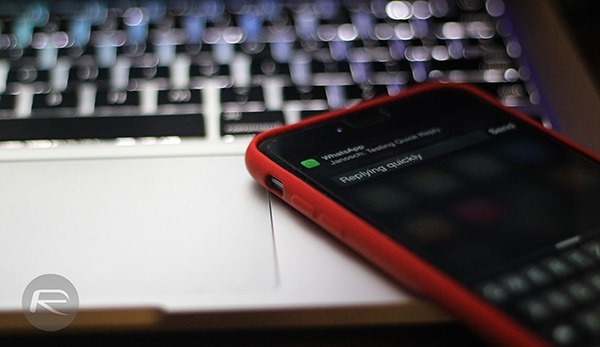 iOS users can tweak their jailbroken devices to alert themselves right on the lock screen whenever a specific contact comes online or begins typing in a conversation window. More details on how this can be achieved can be found here: How To Get A Push Notification From WhatsApp When A Specific Contact Comes Online. WhatsApp did take some time to launch its VoIP service, but now that it’s here, you will be surprised on how seamless the feature is coupled with some very good audio clarity. The feature is fully functional on both iPhone and Android smartphones. More on this: How To Enable WhatsApp Voice Calling On iPhone. Mac users can make use of a native app – called WhatsMac – which sings the same tune as the WhatsApp Web Client. The app is simply wrapped around the existing service and supports Android, BlackBerry and Windows Phone devices. iPhone users will have to check out the jailbreak tweak just mentioned above, in order to use this app. 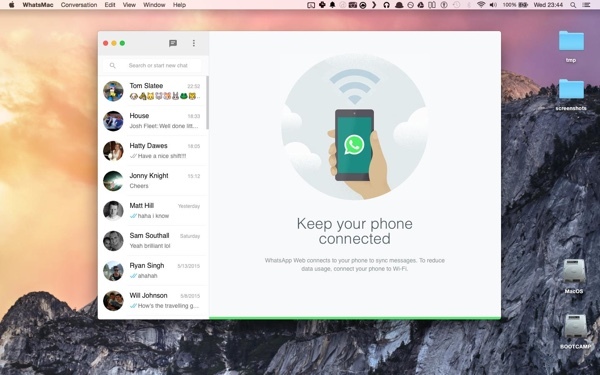 Download WhatsApp desktop client for Mac OS X from here. 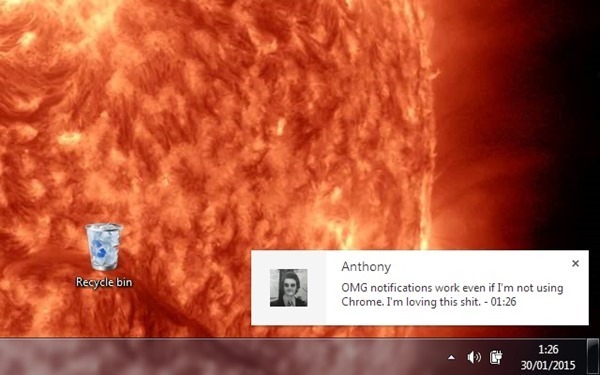 A Chrome plugin, which, once installed in the browser, will keep you notified of WhatsApp Web Client based alerts, even if the browser is closed. Here’s a quick look at the plugin, and how you can install it: How To Enable WhatsApp Web Client Notifications On Your Desktop. Quick Reply feature in iOS 8 is exclusive to the Apple’s Messages app, but there’s a way around it to enable it for WhatsApp. Here’s how you can do this: How To Enable Native iOS 8 Quick Reply For WhatsApp Messenger. Looking to protect your WhatsApp conversations from friends who like to snoop around? An Android app called, ‘Messenger and Chat Lock’ will lock down WhatsApp with a PIN code of your choice, and can even do the same for your Facebook app as well. 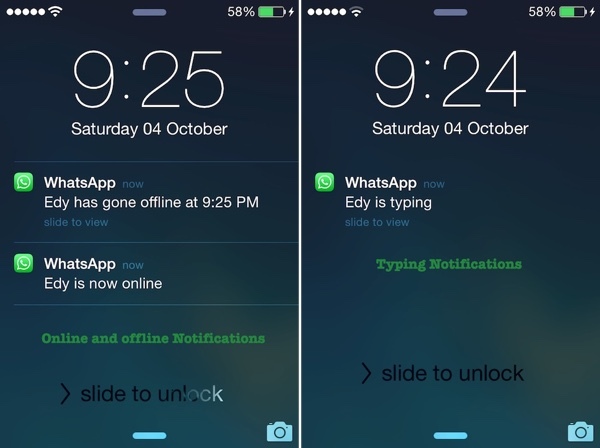 Want to add shortcuts for your WhatsApp contacts in your iOS Notification Center? ‘Shortcut for WhatsApp Plus’ will allow you to pin your favorite WhatsApp contacts to Notification Center. 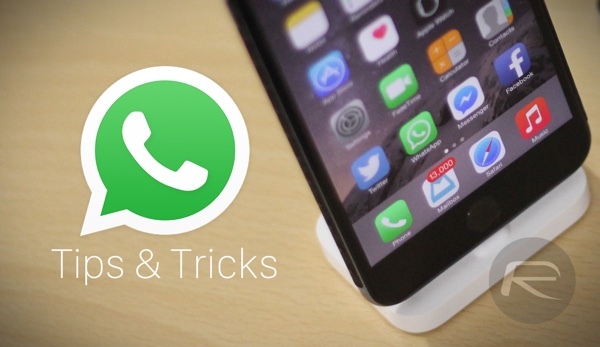 For more details on this, check out: How To Add WhatsApp Quick Contact Shortcut Widget To iOS 8. Android users can simply tap and hold on a conversation, which will reveal an option reading “Add conversation shortcut”. Tap that option, and it will add a direct WhatsApp shortcut to your favorite contact on your home screen. 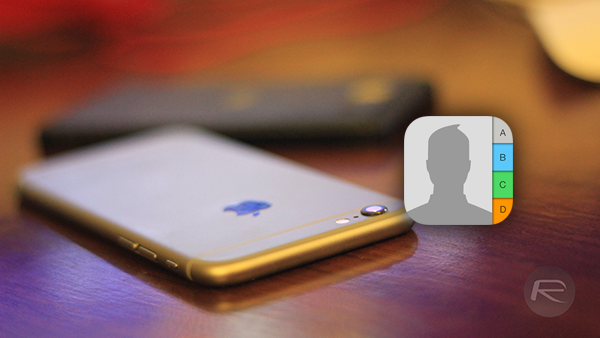 iOS users can use AvatarSync for syncing WhatsApp profile images of contacts to their local iOS Contacts list on iPhone. You can find more details on it here. If you’re using an Android device, there are plenty of apps on Google Play that can accomplish this task. Some of the notable ones are Sync.me and Contact Photo Sync. Easily one of the most popular query on the Internet. Luckily, there is a workaround for iOS users to get WhatsApp working on the iPad or iPod touch. Here’s a complete guide on how to set it up: Install WhatsApp On iPad And iPod touch Without Jailbreak [VIDEO]. As for Wi-Fi only Android tablets, you will need to first download the APK file for WhatsApp as the one available on Google Play will not show up for Wi-Fi only Android tablets. Once you have downloaded the APK, enable sideloading of apps from Settings > Security and toggle the Unknown Sources option to ON. 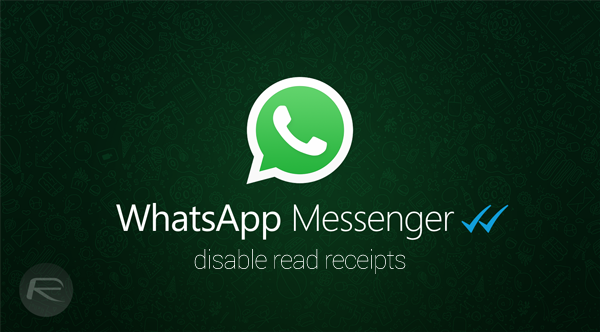 Now simply install this WhatsApp APK on your tablet. Once installed, launch the app and when asked to input your phone number for a verification code, do so – make sure your phone number is active and inside a working handset. When you receive a verification code on your phone, simply input that on your tablet and WhatsApp will work normally. WhatsApp took everyone by surprise when it rolled out read-receipts for both iOS and Android, but given the obvious uproar from users, an option to disable the feature was quickly rolled out. Here’s how you can turn off read-receipts on iOS: How To Disable Read Receipts In WhatsApp For iPhone and Android here: How To Disable WhatsApp Read Receipts On Android. WhatsApp had long been showing users Last Seen timestamps, but recently a much welcomed feature to disable this was introduced in both iOS and Android apps. To hide / disable WhatsApp Last Seen timestamp on iPhone, simply launch WhatsApp and head into Settings > Account > Privacy > Last Seen, and select ‘Nobody’ from the list, as shown in the screenshot above. 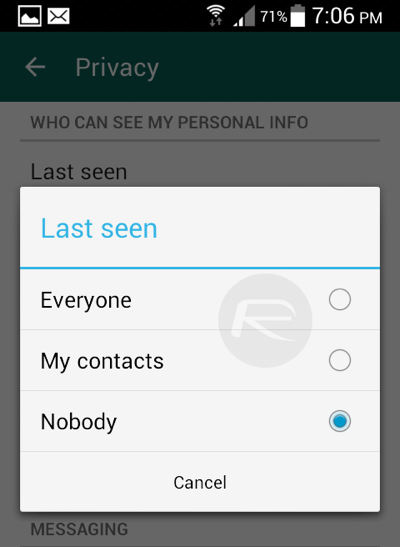 Android users can launch WhatsApp, hit the Menu Button > Settings > Account > Privacy > Last Seen. Select ‘Nobody’ from the list of options. While there are some third-party apps that offer customization of WhatsApp, the most popular pick is WhatsApp+. Available on Cydia for iOS devices, this app offers a plethora of customization tools for WhatsApp users. 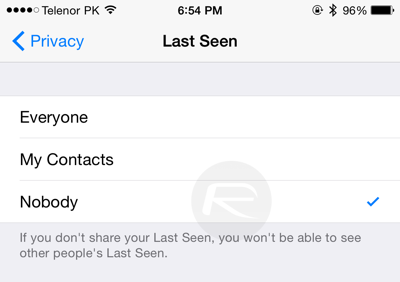 You can find more on it here: How To Customize Every Part Of WhatsApp On iOS 8. 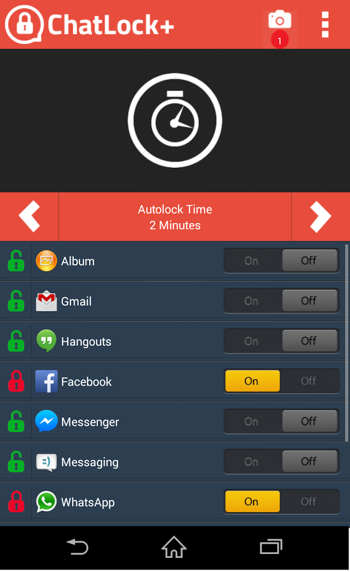 As for WhatsApp Plus for Android, unfortunately, WhatsApp has banned the app. Android users can currently only change conversation background/wallpaper using the option provided in official app. 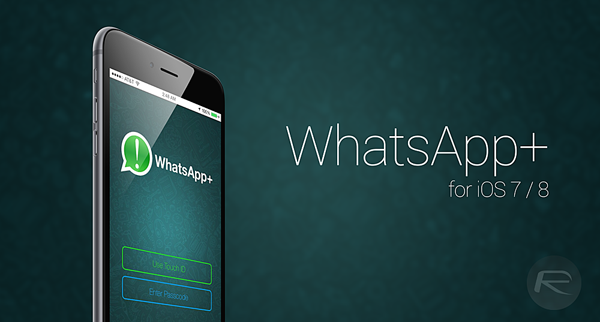 Want to change your phone number without losing your WhatsApp conversation and data? Simply insert your new SIM and follow the instructions below. 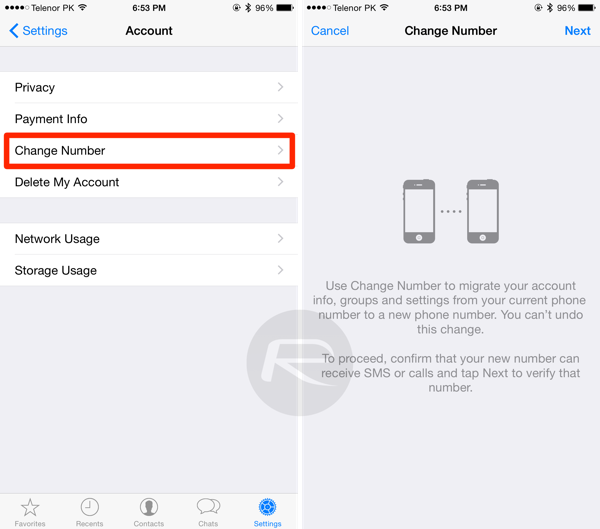 iPhone: Launch WhatsApp and head into Settings > Account > Change Number. Here, simply enter your current phone number in the first box, followed by the new number in the second one. Once entered, hit the ‘Done’ button to continue. 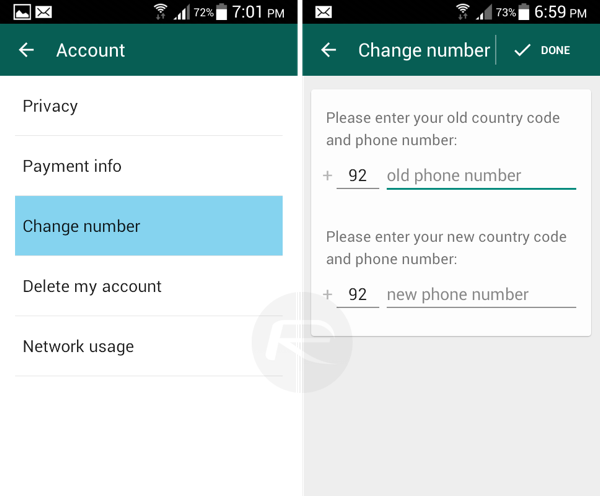 Android: Launch WhatsApp and hit the Menu Button > Settings > Account > Change Number. Now enter the current phone number in the first box, followed by the new number in the second one. Once entered, hit the ‘Done’ button to continue. 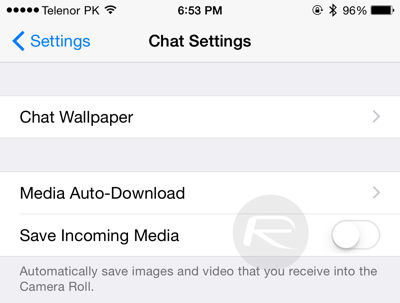 On WhatsApp for iOS, navigate to Settings > Chat Settings > and disable the “Save Incoming Media” option. Next time, WhatsApp will not download the media content to your Camera Roll. On Android, you can tinker with “WhatsApp Images” folder thanks to the easy access to file system. Either connect the phone to the computer and browse through the folders, or use a file explorer app on device. 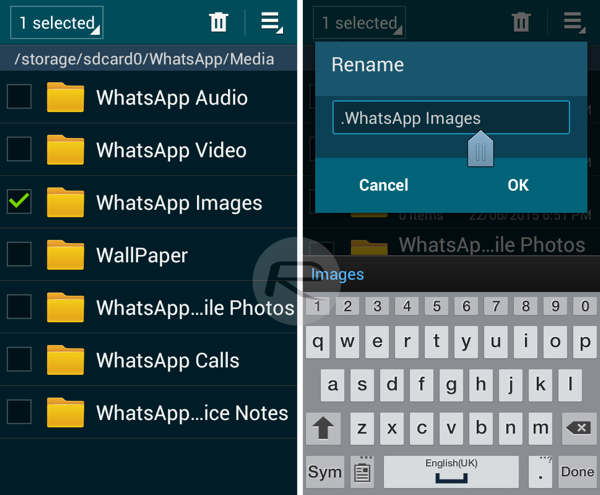 If you’re using a file explorer on the phone, navigate to sdcard > WhatsApp > Media. 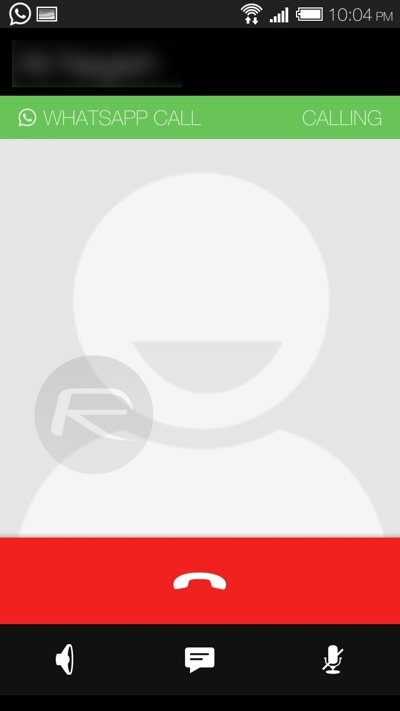 Look for a folder named “WhatsApp Images”, and rename it to “.WhatsApp Images”. The period added to the folder’s name has effectively hidden it, and will no longer be visible in the Gallery app. Sure you have the WhatsApp Web Client, but there’s nothing quite like running an actual smartphone app on your desktop now is there? Here’s a step-by-step guide on running WhatsApp on OS X or Windows without breaking a sweat: Run Android Apps In Chrome Browser On Windows, Mac OS X, Here’s How. 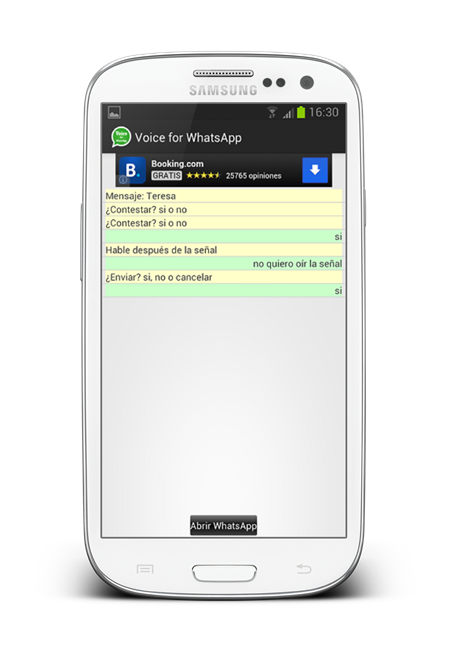 There is actually a mod/app available on Android which can enable users to make WhatsApp audibly read out incoming messages and more. It also includes support for voice commands. Here’s an overview of what this app can exactly do and where to download it from: This App Audibly Reads Out Your WhatsApp Messages On Android, Adds Voice Commands. WhatsApp limits users to sending 10 photos at once to a group or contact by default, and this can actually be annoying when you have a bunch of snaps you just need to send through and move on. Luckily, there’s a quick fix for this on iPhone. 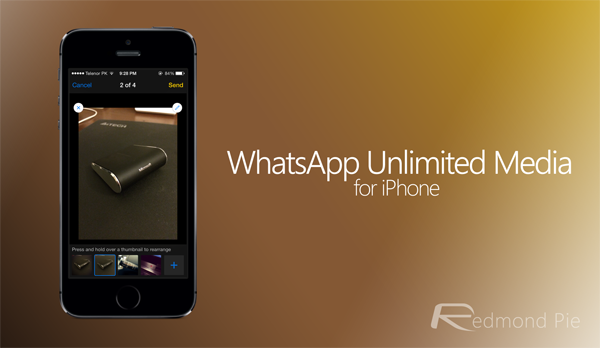 Here’s what you need to do: How To Send Unlimited Photos At Once From WhatsApp On iPhone. Superb Tips & Tricks Thanks. this tip obviously worked years ago on iphone. its not working now. what is the latest resolve?